Ships tomorrow if you order in the next 17 hours 34 minutes. Omega-3s are important for everyone, especially pregnant women. DHA and EPA provide optimal support for your health, as well as the optimal health of your baby. 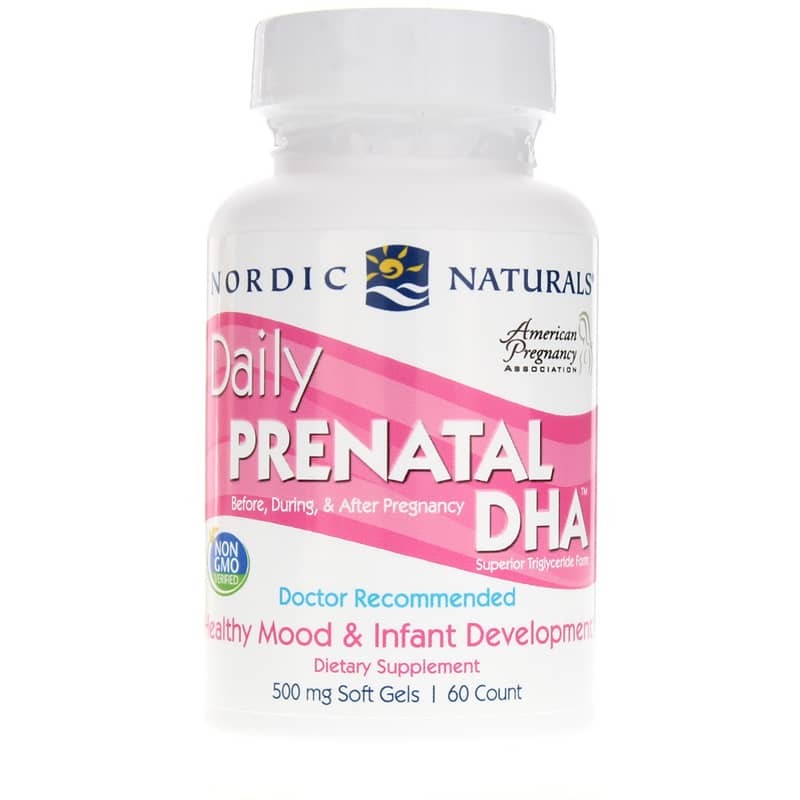 Daily Prenatal DHA from Nordic Naturals is the ideal omega-3 supplement for before, during, and after your pregnancy, and is recommended by the American Pregnancy Association. 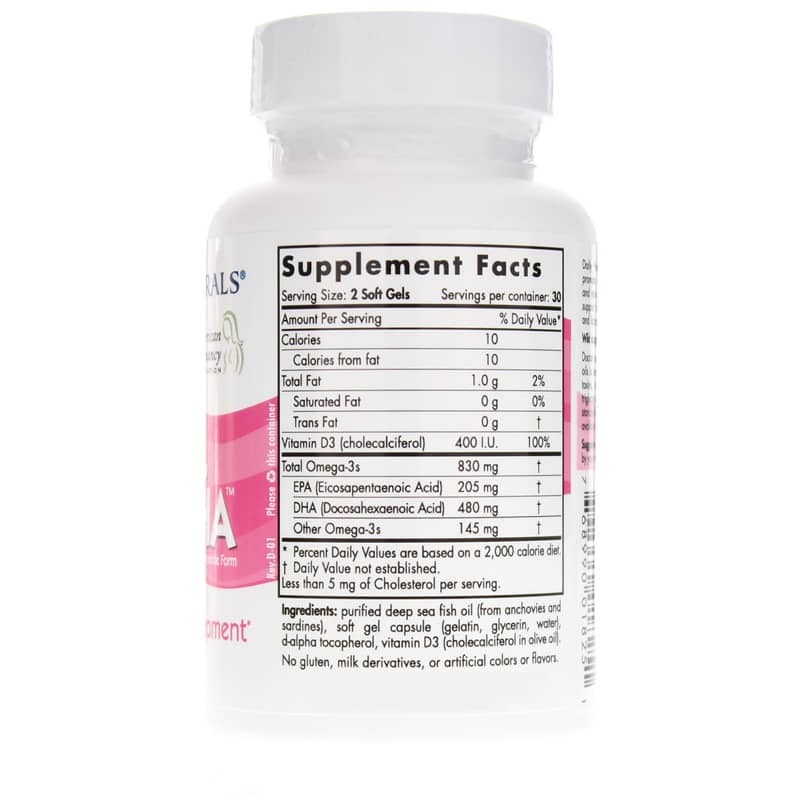 Daily Prenatal DHA fulfills the daily recommended intake of DHA, and also provides 400 IU of vitamin D3 to support healthy bones, a balanced mood, and optimal overall health. It comes in an easy-to-swallow softgel form that is flavorless. 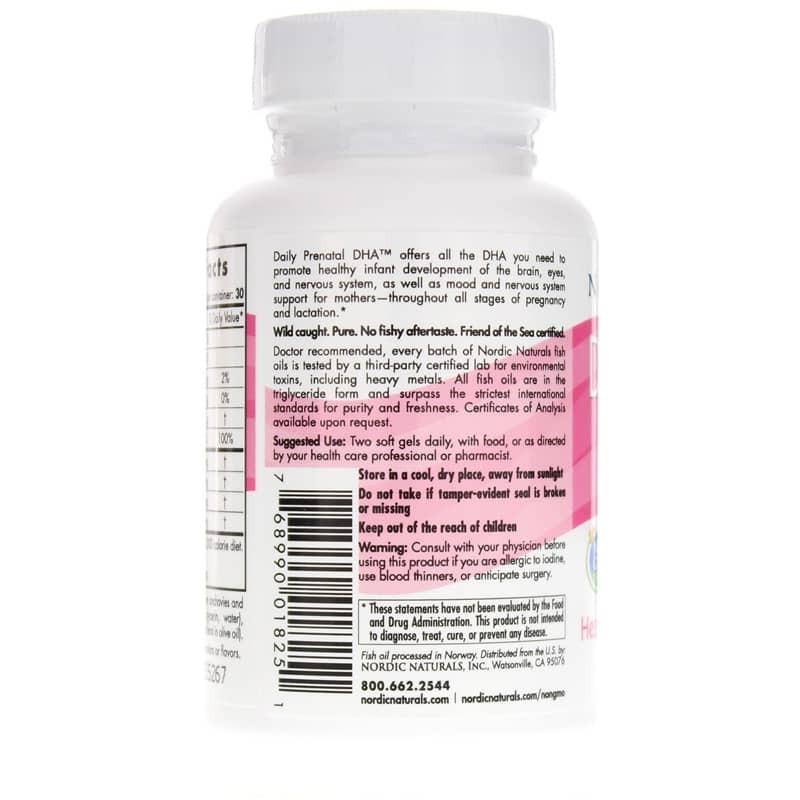 Just two softgels every day with food deliver support for your health, as well as the health of your developing baby. Give it a try today, and see the difference it can make in your overall health. Order yours now! Ingredients: purified deep sea fish oil (from anchovies and sardines), soft gel capsule (gelatin, glycerin, water), d-alpha tocopherol, vitamin D3 (cholecalciferol in olive oil). Contains NO: GMOs, gluten, milk derivatives, or artificial colors or flavors. Consult with your physician before using this product if you are allergic to iodine, use blood thinners or anticipate surgery. Keep out of the reach of children. I bought these pills for my wife. We are expecting. I would definitely recommend this product to all moms to be.